$3 Pint Night welcomes Payne’s Grey Sky back to the Keegan Ales Stage! The seed that eventually became American-roots band, Payne’s Grey Sky, was planted in the summer of 2007 by high school friends Rich Dymond (bass, guitar) and Jimi Scheffel (vocals, guitar) with Dave Sahloff (drums/ percussion) joining the band soon after. 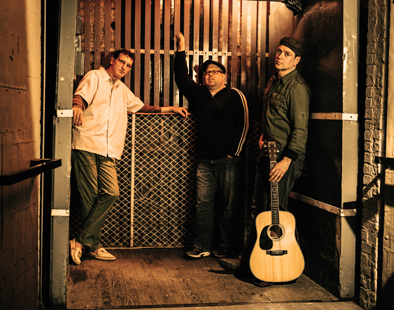 Usually performing as a trio, Payne’s Grey Sky’s influences are many- From classics like Dylan, The Band, and Van Morrison to contemporary acts like Damien Rice, The Lumineers and The Avett Brothers.